England midfielder Fabian Delph returned to training on Friday as he fights to return for some of Aston Villa's Christmas fixtures. The 25-year-old dislocated his shoulder in October and was ruled out until the end of December. 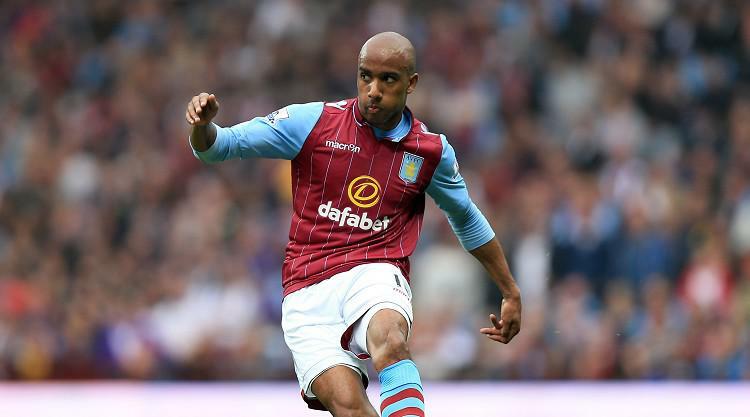 Delph, who has impressed since breaking into Roy Hodgson's side this season, missed England's recent Euro 2016 qualifier against Slovenia and the friendly against Scotland as well as crucial Barclays Premier League games for Villa. However, Paul Lambert revealed the Yorkshireman is making good progress since having surgery and was able to make a tentative return to training this week. The Villa boss, also without key defenders Ron Vlaar and Philippe Senderos at the moment, said: "Fabian's coming on, he trained with the team today. "It's non-contact at the minute but he's doing really well. "Ron will maybe do a bit of training on Saturday with the team, he's more advanced than Philippe. He's coming on. I'd like to think we can get into the new year with both of them back. "That's the target, though we can't put too much pressure on them. And if things go well with Philippe, maybe we can get him back by the end of the month. "Slowly but surely we're starting to get guys back." Lambert has taken stick from some supporters recently as Villa show signs of heading for another flirt with relegation but he insists things are not as bad as many suggest. Ahead of Sunday's clash with Leicester, he said: "We're sitting 12th at the moment, two points behind Everton, who had a massive season last year, so it's not all doom and gloom. It's the media who portray that. "We are where we are. We had a hard run of games but we're undefeated in the last four matches and they've been tough, tough games for us but we're slowly but surely getting there." Midfielder Joe Cole has been ruled out for around two weeks with a hamstring injury suffered in Tuesday's win over Crystal Palace but Lambert hopes he can return sooner.